Bed bug lawyers filing bed bug lawsuits in Georgia are becoming more frequent as terrible bed bug epidemics spread throughout the country infiltrating hotels and other public establishments. Victims of bed bug injuries are often very traumatized due to not only the physical injuries but the psychological fear of the very serious possibility of taking the bed bug infestation back to one’s home. 1. Immediately report the incident to management and ask for a copy of the report if possible. **** First it is absolutely essential to receive necessary medication to insure that the bugs do not spread (in the event it is scabies) and that your bites are treated to avoid painful symptoms and possible infection. The terrible itching and scratching bed bug bites cause can also lead to scarring. Particularly for our African American clients, these scars can be extremely devastating as the skin can keloid. **** Second, if there is a “gap in treatment” (time between your injury and you seeing a doctor), insurance companies can become more unwilling to pay for your injuries. Thus it is important to fit in an emergency appointment to see your doctor to obtain treatment as soon as the injuries occur. 3. In the event of scabies (also a type of bug that can be transmitted from hotel beds), these bugs will hatch under your skin and lay their eggs. The only way to kill them is to cover your skin from head to toe with a prescription medication, to wash all linens (towels, sheets, and blankets) and dry them on the hottest cycle, and to bag all remaining clothes for a minimum of 3 weeks. Sometimes bedbug bites can become infected or worse, spread if the bugs hatch their eggs in your belongings and follow you home. 4. Since bed bugs and scabies can follow you home consider carefully disposing property such as suitcases or clothes that you brought with you into the hotel in order to insure the bugs do not transfer to your house. 5. Take photographs of your bites. Make sure you use a good camera with proper lighting to carefully document your injuries. What does the Law in Georgia Say About The Duty Of Hotels? *****The duty of an innkeeper is well settled in Georgia as the duty to exercise ordinary care to afford guests premises that are reasonably safe for use and occupancy.” Hotel Richmond, Inc. v. Wilkinson, 73 Ga. App. 36, 41 (35 SE2d 536); Holloman v. Henry Grady Hotel Co., 42 Ga. App. 347 (156 SE 275); Newton v. Candace, Inc., 94 Ga. App. 385 (2) (94 SE2d 739); S. A. Lynch Corp. v. Greene, 99 Ga. App. 797, 799 (109 SE2d 615); Hotel Dempsey Co. v. Teel, 128 F. 2d 673 (5th Cir.). ***** Furthermore, the innkeeper has a duty to inspect and is liable for such injuries caused by defects as would be disclosed by a reasonable inspection. Johnson v. John Deere Plow Co., 214 Ga. 645, 647 (106 SE2d 901) Hillinghorst v. Heart of Atlanta Motel, 104 Ga. App. 731, 1961 Ga. App. LEXIS 784 (Ga. Ct. App., October 4, 1961, Decided ). 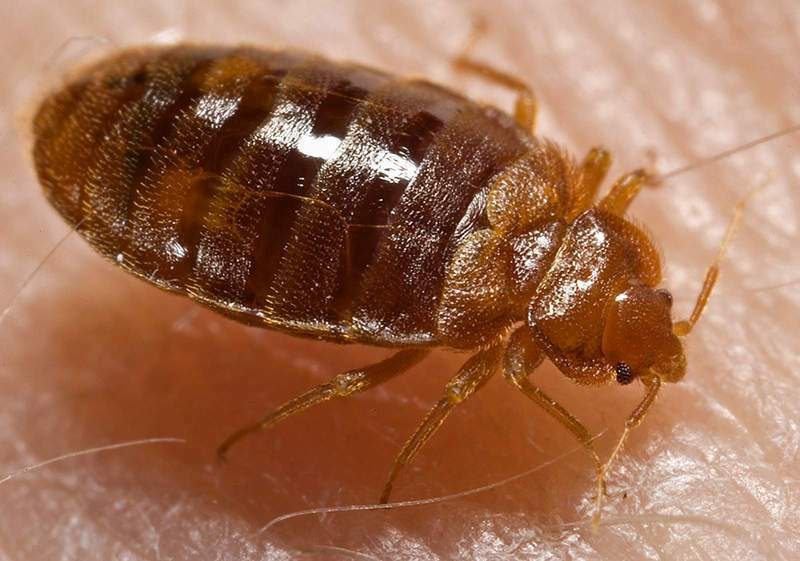 Because a massive infestation present in a hotel room can be disclosed if there is a reasonable inspection by hotel staff, Georgia law finds hotels liable for bedbug injuries to their hotel guests. If you are going through such a terrible experience, don’t panic: Follow the above advice and you are welcome to contact us for legal consultation at 404-654-0288.